Chakka payasam | Easy and quick Jack fruit payasam recipe with step by step photos and video recipe. 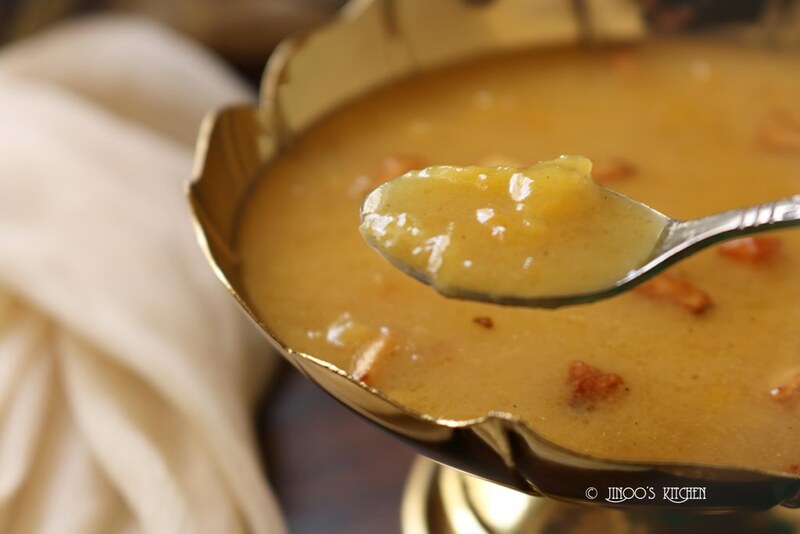 Jack fruit payasam is made with either chakka varatti or with fresh jack fruits. 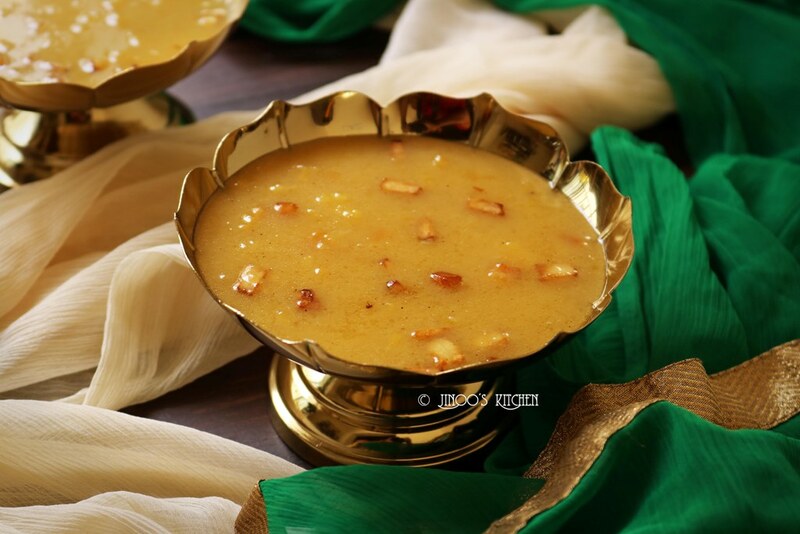 Both tastes different and this recipe of chakka payasam without chakka varattiyathu is simple and quick way of making chakka payasam for sadhya. clean the jack fruit, take the fully ripe jack fruits, de-seed them and blend them coarsely. transfer the coarse paste to a vessel and add jaggery to it. i have used organic jaggery. if you feel like it may have dusts, then melt, strain and then add it. add little milk to it and mix well. boiled milk. you can also substitute milk with thin coconut milk. boil for few minutes and then put off. add coconut milk (1st extract+2nd extract), mix well. heat it for few minutes in simmer and need not boil it. heat ghee in a separate pan, fry the coconut pieces until reddish brown. add it to the payasam and mix well. serve hot or chilled as per your choice. coarsely grind ripe jackfruit and take it in a pan. add jaggery, milk and mix well. let it boil for 5 minutes and then put off. add thin coconut milk and mix well. heat it up. 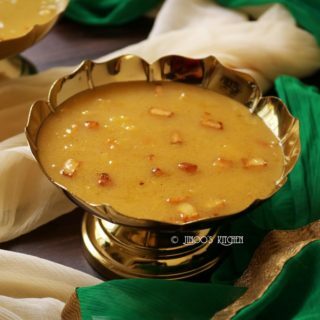 melt ghee, fry coconut pieces till reddish brown and add it to the payasam and mix well.